SHENZHEN, China, Dec. 14, 2017 /PRNewswire/ -- Huntkey, a global leading provider of power solutions, has recently released a 60W USB-C notebook adapter to meet the increasing charging demands of USB-C powered devices. After launching many different notebook adapters, such as X-Man 65W, Slim 65W II, and Mini 45W, Huntkey has come up with a new generation notebook adapter equipped with a USB-C connector for superspeed charging and convenient use. USB-C is a new standard which is tailored for the next generation of electronic devices. It features a horizontally symmetrical design that can be plugged into the any USB-C powered device in either direction for easy access. 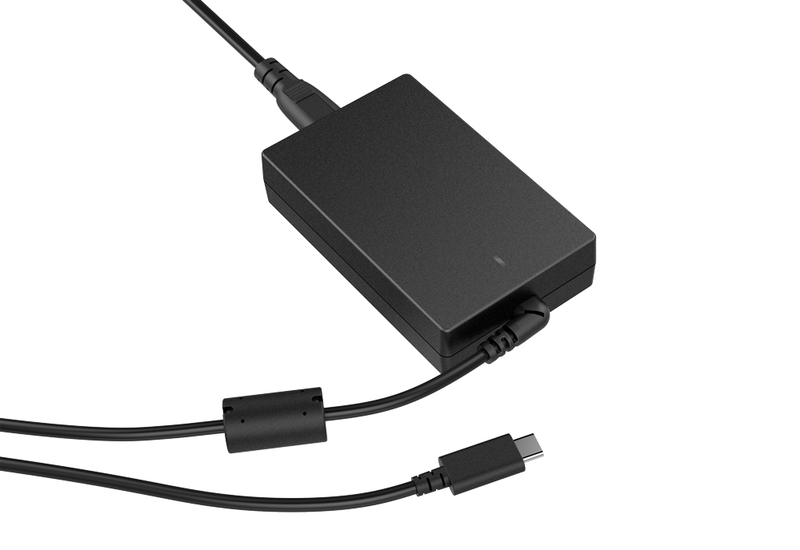 What is the Huntkey USB-C notebook adapter capable of? When it comes to fast charging, USB Power Delivery which is a charging protocol applied in the field of power delivery. It enables much higher power delivery speed for both host-to-device and device-to-host. Implemented this technology, the Huntkey USB-C notebook adapter can not only charge a device with a faster charging speed, but also easily meet the demands of devices with larger power consumption. The Huntkey USB-C notebook adapter can accordingly charge different devices at different voltage levels of 5 V, 9 V and 20 V. With this intelligent charging feature, it is able to charge a wide range of devices ranging from smartphones to power banks, tablets, laptops and drones. Based on deep research and development, Huntkey created the USB-C notebook adapter with strong charging performance as well as reliable protective functions to safeguard the charging device. It is equipped with SCP (Short Circuit Protection), OVP (Over Voltage Protection), OTP (Over Temperature Protection) and OCP (Over Current Protection) to give the users peace of mind.